/INS. Climeon AB has been awarded "Technology Innovation Award" by the multinational consulting and analytical firm Frost & Sullivan for its groundbreaking heat power solution. Frost and Sullivan rates Climeon Ocean as #1 industry solution for Marine Waste Heat Recovery. Climeon Ocean uses low temperature heat and converts it into 100% clean electricity. 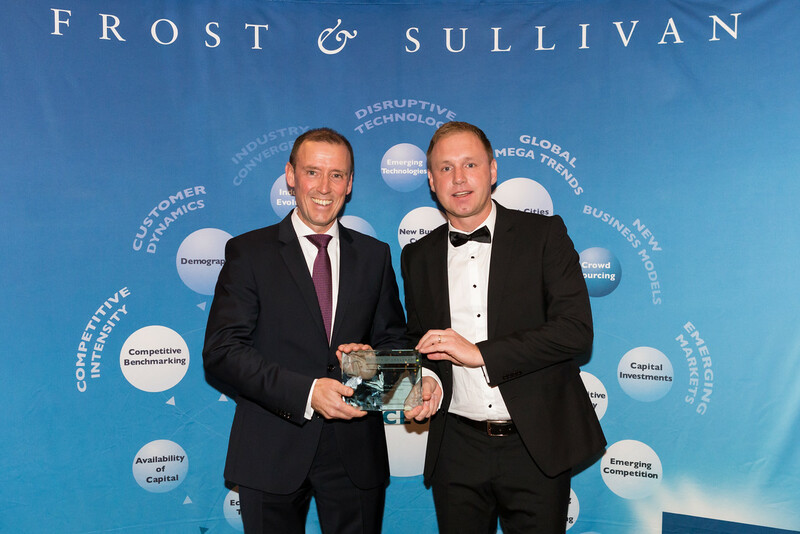 November 17th, 2015, Climeon was awarded "Technology Innovation Award" at the "Excellence in Best Practice Award Banquet" hosted by Frost & Sullivan in Frankfurt, Germany. Frost and Sullivan also released a report on Marine Waste Heat Recovery Solutions rating Climeon as #1 with a scoring of 9,2 (excellent) on a scale from 1-10. In their report Frost & Sullivan conclude that the technology “provides customers with superior operating efficiency“ and that Climeon delivers “a high return on investment” to its customers. - It’s a great honor for us winning such a prestigious award, says Climeon CEO Thomas Öström. Climeon Ocean is a system that converts hot water between 70-120 oC into 100% clean electricity. The system is scalable from 150 kW up to 1 MW. Each unit can help customers reduce CO2 emissions up to 5 000 metric tons per year. With its record high efficiency and compact design, the solution does this at a cost typically lower than traditional energy sources, such as coal and oil. As a consequence, this clean electricity source becomes a true alternative energy source with a potential to significantly impact the global CO2 emissions.